Well here it is again. That feeling of hopeless helplessness that washes over me when the news of a world-impacting event characterized by conflict, division, injustice, loss of life, or suffering begins to settle into my consciousness. I know I cannot do anything about the events in Charlottesville any more than I can solve the international refugee problem, the opioid “epidemic,” or homelessness in my own city. And the frustration of feeling unable to contribute to a quick and effective solution makes me almost sick to my stomach. It happens to me every time I am made aware of genocide, horrible injustice, natural disasters, growing crime, or the breakdown and dissolution of cooperation among the leaders of my country. I feel helpless to make a difference. No matter which side you’re on (pick an issue), the rallying cry seems to be “throw the bums out.” So we throw the bums out. And then the new ones take over. And nothing changes. I can’t change anyone else. (Neither can you.) We can protest this or that; we can demonstrate; we can carry our signs; but we can’t make people care. And we can’t stop people from hating other people. We really can’t. I can’t stop racism and hatred in people. But I CAN stop racism and hatred in ME. And if I can’t stop it, I can at least constantly and consistently fight against it. the deck is stacked against me. My great-great-grandfather, Benjamin Franklin Moody, lived here in Tennessee, just north of Nashville. He was a slave owner. Somehow, over a century later, my father’s family ended up in a dusty little town in the deep south called Cotton Valley, Louisiana. Dad’s father (my grandfather) was the Postmaster of the town, and his mother was an elementary school teacher. They were highly respected – pillars of the community. Black children in the town were denied the educational opportunities that the white children enjoyed. And this caste system, as I’m sure you’re aware, was entrenched in the culture throughout the South. My mother was raised in Taylorville, Illinois, where her father was the Chief of Staff of the local hospital. They weren’t rich, but she lived a relatively privileged childhood. Because her mother battled alcoholism, much of the “child-rearing” in the home was done by Laura, the African American cook-nanny-housekeeper. Laura was well-loved by the whole family, and was treated as one of the family. With a father highly respected in the community who worked long hours, and a mother often “out of commission,” my mother and her siblings owe much of the quality and love of their upbringing to Laura, their black family member. She loved them like a mother and raised them like one of her own. When my father returned from WWII service in Europe, he and my mother were married and settled in Baton Rouge, LA. After I was born, they moved to Chattanooga, Tennessee, and, when I was six, ended up in Cleveland, Ohio. Five years later, we (including a sister two years my junior) moved to Cincinnati, where I mostly grew up. When my mother initially married into the Moody clan, and was absorbed into the Southern culture, the shock of dealing with “old South” values and attitudes was very unsettling. She would try to make eye contact with the black folks; try to visit with them; try to treat them as equals. But they rebuffed every attempt. Mom didn’t realize she was baiting them into situations that could cause them violent retribution or worse. My own upbringing was a little muddled with regard to racial attitudes, as you might expect. On the one hand, my father taught me to look on those with darker pigmentation with suspicion and superiority. On the other, my mother taught me that under the skin there really is no difference. We are all equal. Each mirrored the attitudes of their own upbringing and life experience. Later, after my sister and I had grown and moved away from home, my father decided that he wanted to go back to Louisiana to live. He and my mother settled in Minden, where he started a couple of small businesses, and my mother started to work as a medical technologist in the little hospital there. By now, my father’s attitudes and values were changing. Old perceptions and preconceptions were giving way to new understanding, and he was working to overcome the years of ingrained racism. Mom aggressively pursued bridging the racial gap. At lunch, she would eat just as often with the black housekeeping staff as with the white medical staff. (There were no white housekeepers or black medical personnel.) Everybody loved my mother, and though her white coworkers thought her conduct odd, to say the least, she was well-loved by everyone in the hospital. Barber: John, folks have been telling me your wife’s been eating lunch with the colored help at the hospital. Barber: Well, what do you think about that? Dad: I think it’s great. I think folks like you should give it a try. He knew he was on shaky ground taking that kind of stand and trying to rally community support for his small businesses. But that’s how far he had come. I was proud of him (and her) when I heard about it. They were using their little bit of influence to sabotage a status quo in which the wicked and dangerous mindset of centuries was established. Chipping away at the foundation of racism. So what about me? If I’m honest, I have to admit that I’m a recovering racist. I still occasionally feel surprised or taken aback when I encounter an African American who is cultured, articulate, educated, well-informed, and highly sophisticated. I immediately recognize that feeling for what it is, and I HATE IT! I still have trouble with the trappings, characteristics, and language of urban black culture (including “Ebonics.”) I am continually tempted to condemn what I perceive as “culturally inferior,” and to assign its participants worth accordingly, question their intelligence, and/or judge their lifestyle. In my conscious mind, I am not a racist. I do not believe that one race is better, or more worthy, than another. I truly don’t. But, in practice, I have to fight my subconscious ingrained racist history, on a moment-by-moment basis. I have to stand guard over my thoughts, feelings, and attitudes, and pull them up by the roots when they expose hidden bigotry. So, what can you and I do to defeat our own racism? Honestly admit that racism exists in me. It’s there. It’s too late to prevent it, but not to confront it at every opportunity. Refuse to allow my racist history (including family history) to be a cause for shame, but recognize it as an opportunity to break the chain and keep it from replicating. Work to instill values in my children and grandchildren that promote racially equal thinking and actions. Follow my mom’s approach (and my dad’s advice) – make sure that my circle of friends and acquaintances includes those of other colors and ethnicities. 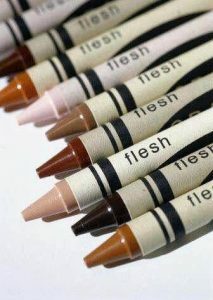 Make sure I am relating to those of other colors and ethnicities on a regular basis. When a racist thought, feeling, or attitude reveals itself, call it what it is and make a determined, conscious effort to unseat it. Through kindness, love, and justice, as I have opportunity, work to build bridges of understanding both with those who are different from me, and those who are like me. Covenant with like-minded close friends to help each other recognize our racism and confront it. Call out racism and bigotry in the public arena when it rears its ugly head, and boldly confront it. Vote (in elections) to unseat racists in positions of leadership. Support and vote to elect those working for racial equality and understanding. Continually ask myself hard questions. How do I feel seeing that racially mixed couple? When I find out that my new doctor is of a different race, how does that make me feel? How okay am I with my son/daughter marrying someone of another color? If you are a follower of Jesus Christ, as I am, then you have at your disposal a whole arsenal of scriptures to help you “transform your mind.” Here are just a few. We are all descendants of Adam. Through Christ, God has destroyed everything that separates us from each other. Christ’s death on the cross effectively ended barriers of hostility between different kinds of people. As you and I can work to consciously eliminate, or at least mitigate, our own racism, we plant the seeds for a better future and help sabotage an infection that we have allowed to fester in our midst for too long. I hope you’ll join me. Thanks for modelling the “agonizing self appraisal” so needed in our world, Randy.